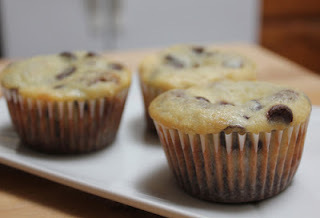 Another recipe to use up those bananas that you just couldn't get to. At this point, I almost wait for my bananas to ripen just so I can make some of these yummy treats. It's a way to get fruit in my diet, so at least there's an added bonus. These cupcakes are soooo good. They're not your standard cupcakes - there's no dollop of frosting on top. But they're not necessarily muffins either. 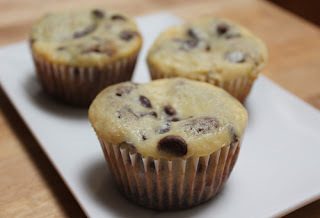 They have a chocolate-y banana base, with a chocolate chip, cream cheese layer on top. The combination? Perfect! Preheat oven to 350 degrees F. Line two cupcake pans with 18 liners. 1. Beat cream cheese and sugar until nice and fluffy. 2. Add banana, egg and vanilla, and mix together until combined. 3. 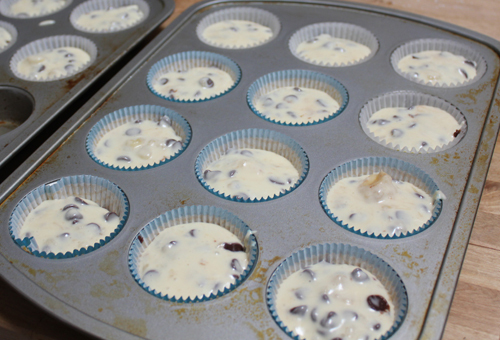 Stir in chocolate chips and set aside. 1. Sift together flour, cocoa, sugar, soda, and salt using a wire whisk. 2. Add bananas, oil and vanilla, and mix together on low until combined. 1. Divide the chocolate batter between the 18 liners. Flatten batter slightly to fill the base of the liners. 2. 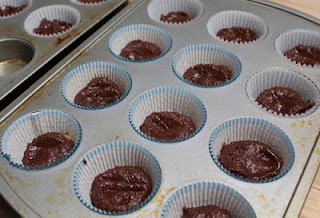 Then top the chocolate batter with the cream cheese mixture. 3. Bake between 25-30 minutes. 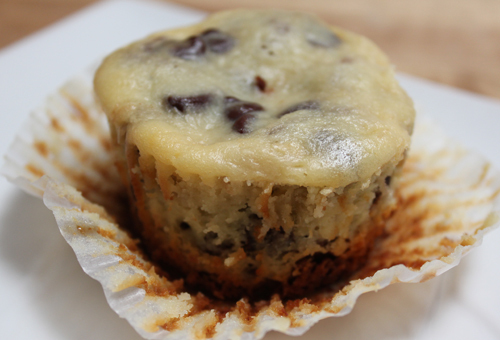 The cream cheese batter will be slightly moist but be careful not to overcook as the cupcake bottoms can burn. 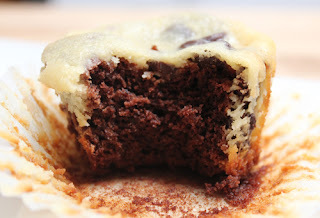 Let cupcakes cool slightly... then enjoy! Check out Bakerella's blog for more details on her use of different linings. 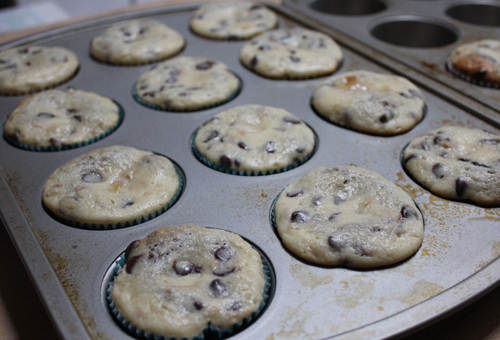 I used standard cupcake liners which turned out well.